Even though it was Monday after a long weekend, I wasn’t sad to get back to work: my muscles and back needed to rest! Even better: today was like my birthday all over again. Whoohoo! Two shipping delayed gifts arrived and I enjoyed a fun online shopping spree (thanks, Reesa) and sharing (and eating) delicious chocolate during conference calls (thanks, Mel)! I also saw my sweet boss for the first time in a week or so and she gave me gifts for the urban farm! She is an avid digger in the dirt too and found a super cool ergonomic shovel from Canadian retailer Lee Valley. Now I can’t wait to plant something this coming weekend — or sooner if I can figure out what container plants to add to the patio. And I have on my calendar that this weekend is time to plant okra, a plant that apparently does awesome in our surface of the sun summer temperatures. She also found me a new bug for the garden (photo at top of page). Isn’t he cute? 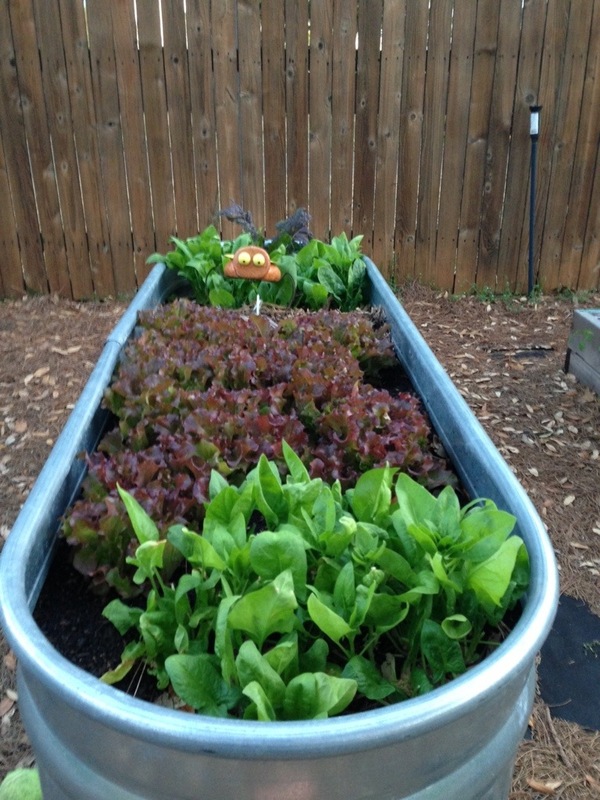 He’s going to live in the stock tank with the spinach and red velvet lettuce. Both are growing like crazy! I guess they’re happy with the weather change. So am I! 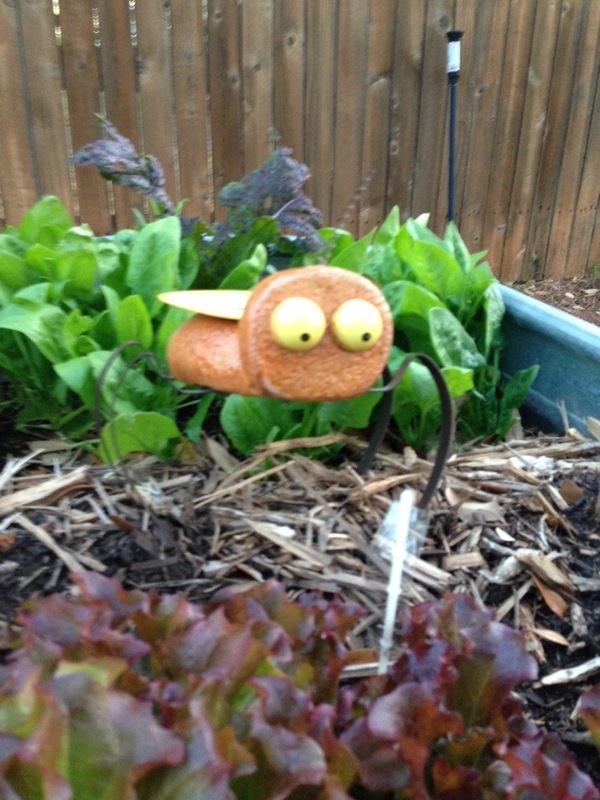 This entry was posted in Uncategorized and tagged birthday, Bug, garden art, Julie Petroski, red velvet lettuce, sow, spinach. Bookmark the permalink. I will eat as much okra as you have to spare . . . in fact, could I pay you to plant an extra bush (?) or two of it?? I have a roasted okra obsession problem right now.